Kombucha is a naturally effervescent fermented tea. It has been consumed for thousands of years and comes in many types of flavors and varieties. It is thought that kombucha originated in Manchura in 220 BCE. 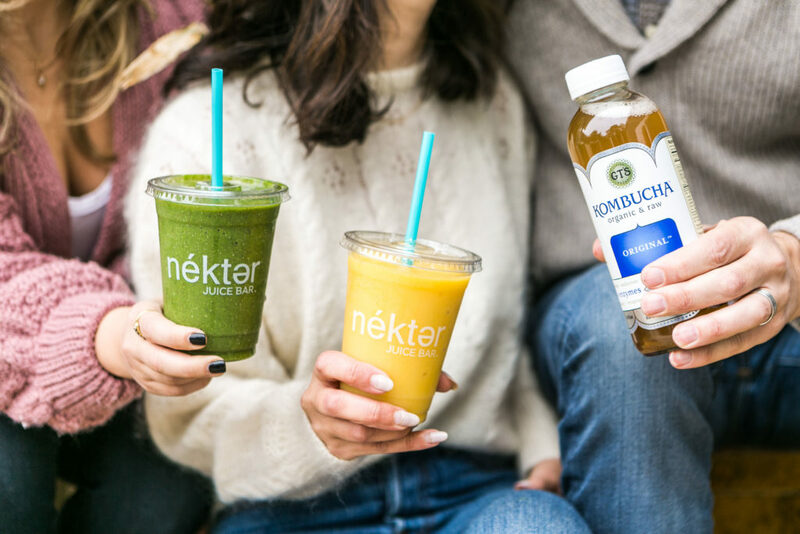 But Why is Kombucha Good For you? 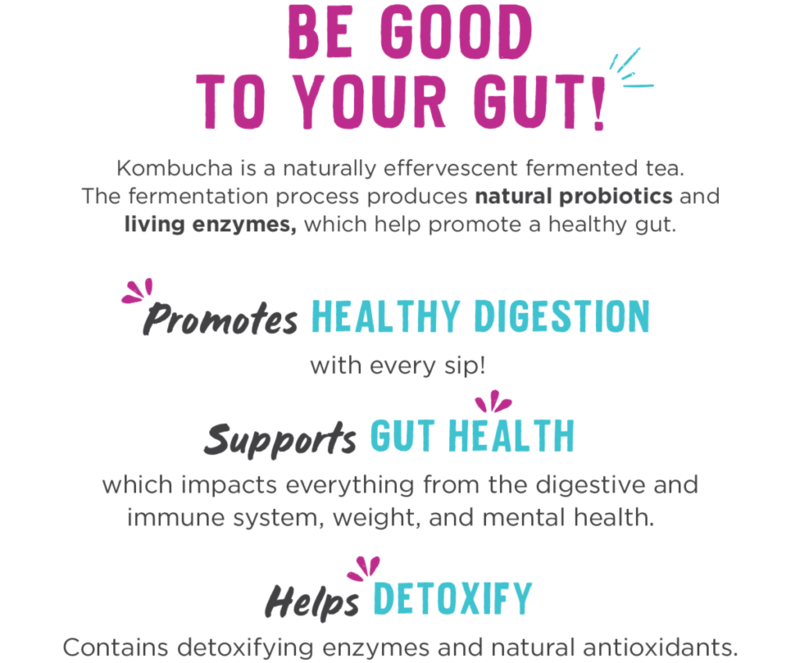 The most known benefit of kombucha is that it is full of natural probiotics and living enzymes that promote a healthy gut. We’ve talked about how important gut health is because it impacts everyting from the digestive system, immune system, weight, and even mental health. But that’s not all! 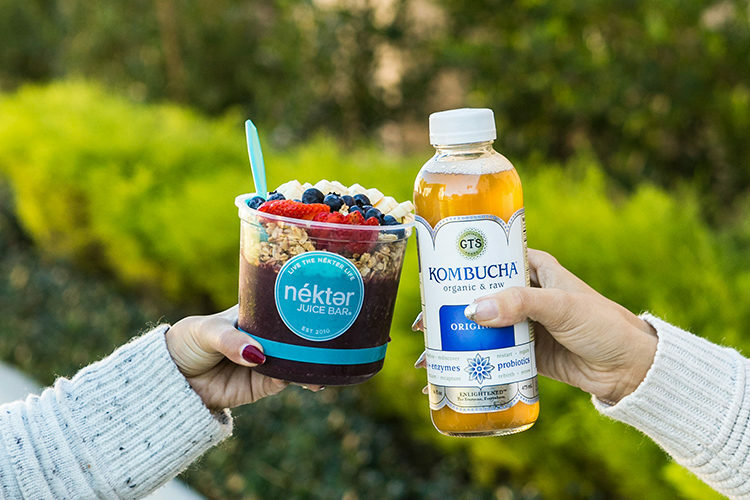 Due to the fermentation process, kombucha is naturally low in sugar and calories but rich in amino acids, polyphenols (a class of antioxidants that help protect against the effects of aging), and active enzymes! And those delightful bubbles that you love? They’re not made by forcing carbon dioxide in at high pressures (as is done with soda) but are naturally occurring from the fermentation process.